At the end of the Second World War, Roy Grumman, co-founder of Grumman Aircraft Engineering Corporation, envisioned for the first time the development of a business aircraft, different from the robust models used during the War, in hope that they will facilitate the post-war economic boom. Thirteen years later, Grumman introduced an aircraft that would later revolutionize general aviation and position his company as an industry pioneer – Gulfstream I. The first flight of the Gulfstream I aircraft took place on August 14, 1958. Capable of accommodating up to 12 passengers, Gulfstream I was very well received and registered record sales. During the 11 years of production, more than 200 Gulfstream I aircraft were sold. Nowadays, Gulfstream produces the most advanced business aircraft in the industry and continues to maintain its reputation for excellence and innovation. There are currently 6 models available in Gulfstream’s fleet: G650ER, G650, G600, G550, G500 and G280. Gulfstream G280 is a super-midsize aircraft, a leader in its class in terms of performance and economy. It can accommodate up to 10 passengers and it is the only aircraft in its category that can operate a non-stop flight between London and New York, in record time. Recently, Gulfstream Aerospace Corp. also announced the fact that the G280 aircraft will have access to the fastest, most reliable worldwide communications network available for midcabin business jets, the Viasat Ka-band system. During NBAA-BACE 2018, Gulfstream also announced a 4% increase in range from its original projections for the all-new G600 business jet, now able to fly nonstop from London to Los Angeles, Sao Paolo to Aspen or Hong Kong to Vienna. 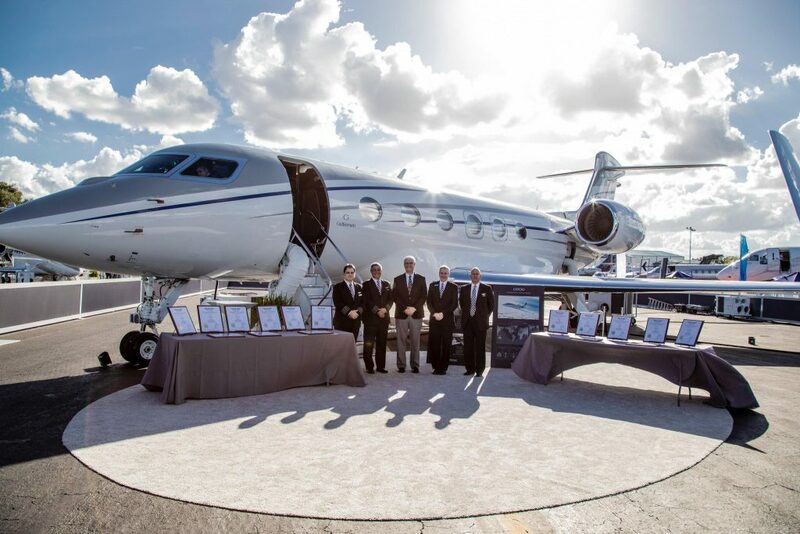 Also, during NBAA-BACE 2018, Gulfstream received more than 25 city-pair speed awards. Another flagship for the American producer is the Gulfstream G650ER, an aircraft that set new standards in terms of flight autonomy for its category – 13.890 km at Mach 0.85 – a performance that no other business aircraft in the world can achieve. Therefore, G650 opened a new window of opportunities in terms of nonstop flights, connecting cities such as Dubai and Atlanta, Hong Kong and New York or Los Angeles and Melbourne. The production and design of the aircraft take place at the Research and Development Centre in Savannah. The five buildings inside the campus bring together engineers and specialists that work together on all essential process, starting from engineering, manufacturing, testing and development for the entire Gulfstream fleet. Besides innovation and performance, two principles that guide the entire activity of Gulfstream, customization is also extremely important. Those who choose to invest in a private jet made by Gulfstream have the possibility to customize the interior up to the smallest details. Starting from the cabin configuration, furniture colours, choice of fabrics and dinnerware, everything can be planned inside one of the company’s design centres in Savannah, Dallas, London or California. Recently, the company also opened a new design centre in Manhattan. The space features dynamic digital tools and thousands of material samples that help launch the customization and personalization of every Gulfstream aircraft. Besides these services, Gulfstream also operates the largest factory-owned service network in the business aviation industry. The support system is anchored by 11 service centres strategically located on four continents, including the world’s largest purpose-built business aircraft maintenance facility in Savannah, Georgia. Gulfstream is also the first manufacturer to open a service facility on mainland China at Beijing Capital International Airport. In addition to the fixed service locations, Gulfstream has Field and Airborne Support Teams (FAST) to provide mobile support. In Romania, Gulfstream is present through private jet brokers and it carries long and medium-range flights to destinations such as Dubai, Abu Dhabi, Moscow, London or New York. In 2018, Gulfstream participated to a static show on the Baneasa Aurel Vlaicu airport in Bucharest. Aviation fans, as well as those interested in investing in an aircraft had the chance to admire the G550 model.  In fact, more and more managers and important entrepreneurs in Romania use private jets to facilitate travelling between different work locations, to meet with partners from other countries or to participate in various important events without blocking a few days of their agenda. The advantages of a private flight reside in both time and utility, but also in comfort and the impression that one can make on their business partners. Also, for many destinations there aren’t many options in terms of commercials trips, so the ability to schedule a flight according to your needs becomes a valuable asset. The time spent on board of the aircraft is also important, especially since the newest models, such as the Gulfstream G500, feature intelligent air circulation and light management systems, that help prevent jet lag and tiredness. Moreover, the cabin works as a real office, offering high speed internet connection and a peaceful environment in which the traveller can work without any distractions. There are plenty of other advantages, that begin even before boarding and continue after the flight is over. Check-in procedures are facilitated, there is no waiting time for luggage and no delays. In 2019, Gulfstream will bring the G500 aircraft to Romania, as part of an official worldwide tour.